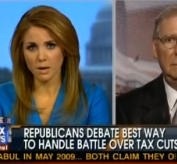 Mediaite covers FOX News anchor Jenna Lee’s deeply satisfying takedown of several Republican members of Congress. 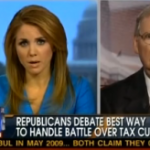 Mitch McConnell fared the worst, having to counter Lee’s inquiry as to whether Republicans were “better at fighting than legislating.” Lee has only been at the network since July, but it looks like she’s in for a long, successful career if she can reproduce the interview fireworks she just proved she’s capable of. To read the full post and see video of the interview, click here. 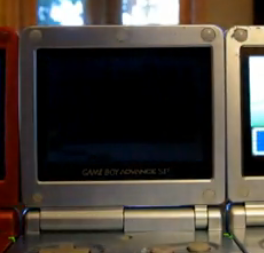 Geekosystem brings us the surprising revelation that Pokemon is… still a thing! 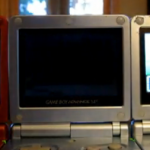 After 25,968 attempts, a persevering young gamer finally managed to catch a “shiny” version of a Ponyta Pokemon, which is better than the non-shiny Pokemons? Pokemen? At any rate, the lucky gamer’s moment of triumph was captured on YouTube, where it will live on in the annals of history for all eternity. I’m just baffled that people exist who are passionate enough to try something 25,968 times. To share in YouTube user Abenzio499’s glory, click here. Styleite got a seat at the Diesel Black Gold fashion show this week. The show didn’t disappoint, with “tailored leather and suede jackets, jeans in any color other than blue jean blue and dresses with flowing silk skirts and tough leather bodices” dominating the show. It was a favorite of many in the fashion world, with about 700 in the audience to watch designer Sophia Kokosalaki’s creations head down the runway. To read the full post, see a slide show, and get more of Styleite’s fabulous Fashion Week coverage, click here. On Sportsgrid today: oh, dear. Football is having a bad week so far! 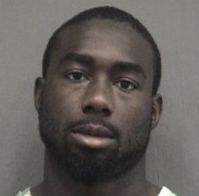 Florida Gators player Chris Rainey was arrested today and charged with felony stalking. Rainey and his girlfriend had a, um, tumultuous relationship, which culminated in a text message from Rainey to his GF that read “Time to die.” Lest anyone mistake it for a colossally stupid, yet ultimately toothless threat, upon being told that a policeman was at his girlfriend’s house and wanted to speak to him, Rainey responded “Wait and see what happens when they leave.” Solid. Maybe these two can work things out long distance…you know, like when Chris Rainey goes to jail! To read the full post, click here. Sad! Gossip Cop reports that everyone’s favorite pixie-like actress, Carey Mulligan, was turned down when she approached the creators of “Glee” hoping to appear on the show. Though the show seems to love a good cameo, and has featured everyone from Kristen Chenoweth to Neil Patrick Harris, Mulligan was apparently not famous enough to be included. Perhaps she’ll have the last laugh if “Wall Street 2” hits it big? Get the full post here.